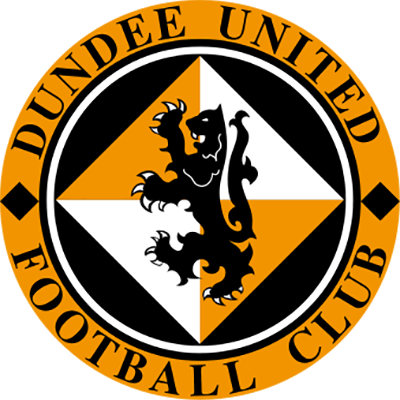 Csaba Laszlo made three changes from the previous week’s win over Elgin City, with Craig Curran and Yannick Loemba making their first Dundee United starts. In addition, Matej Rakovan returned in goals. Ben Siegrist, Fraser Aird and Matty Smith all dropped to the bench as United lined up in an unfamiliar 4-4-2 formation. 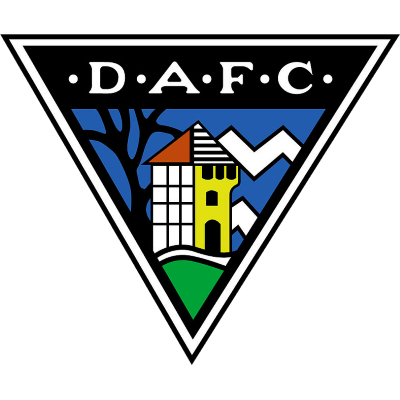 Unlike the home side, Dunfermline had been in great form, winning all four of their Betfred Cup matches, including an impressive 1-0 victory over Dundee across the road at Dens Park. It was a lively start to the game with both sides attempting to play flowing football, although neither side really threatened in the early stages. The first threat came after four minutes for the away side when a Myles Hippolyte long thrown in looked troublesome for the United defence, but Adam Barton was eventually able to head clear. Yannick Loemba, who had turned the previous game against Elgin City, was looking lively in the early stages and one fine run was ended by Lee Ashcroft on the edge of the United box, and despite protests from the home fans no free kick was forthcoming. A free kick was the result of a bad foul on Faissal El Bakhtaoui by William Edjenguele on the 12th minute, although if anything the foul was a result of the Dunfermline player being too quick for his opponent rather than any outright malice. Referee Willie Collum also booked Edjenguele for the challenge. 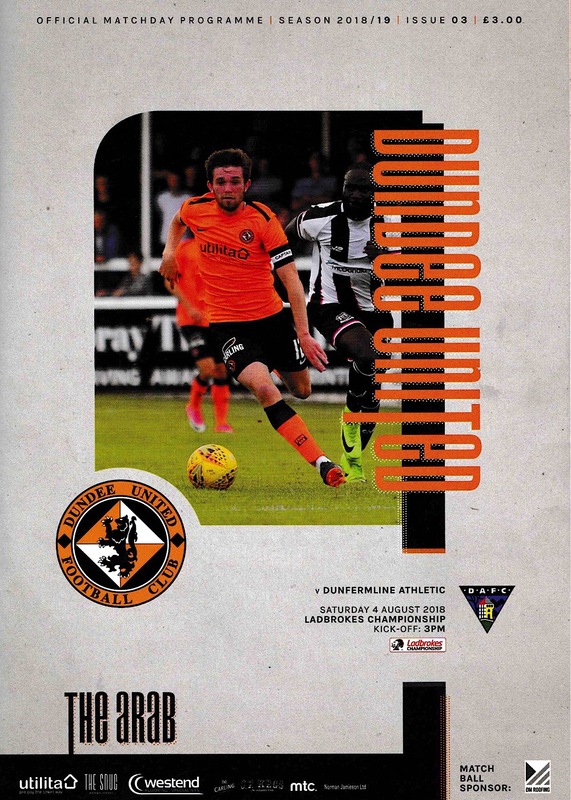 The first shot on goal came for the home side on the 15th minute when Nicky Clark, who was playing against his former team, broke forward and shot from around 25 yards, although the shot was comfortable for Dunfermline keeper Lee Robinson. Five minutes later, a dangerous Sam Wardrop cross on the right was just too high for Clark and Craig Curran and drifted out of play. There was a flashpoint on the half hour mark when a bad challenge on El Bakhtaoui, this time from Christophe Rabitsch, saw both players booked – Rabitsch for the tackle and El Bakhtaoui for his reaction as he pushed to Austrian away once he had got back to his feet. There was also an angry reaction on the touchline from Dunfermline assistant manager Sandy Clark as he made his feelings on the challenge clear to the United bench. Clark and United assistant Werner Burger had to be separated by Laurie Ellis, but the situation calmed down and the game carried on without any further punishment being dished out. The match continued to be rather niggly, and Myles Hippolyte was lucky to avoid a booking with five minutes to go before half time after a late tackle on Sam Wardrop. Christophe Rabitsch was even more fortunate a minute later to avoid punishment for a late tackle on Louis Longridge, but the referee, probably aware a second booking would have led to a sending off for Rabitsch, chose to be lenient. It did look likely the first half would end goalless but two minutes from half time a goal did arrive when United won a free kick 40 yards from goal. Christophe Rabitsch floated the ball into the box which resulted in some penalty box pinball before William Edjenguele was able to head the ball into the path of Nicky Clark. The former Dunfermline striker guided the ball into the net via a deflection from James Craigen to give the home side the lead. Clark evidently enjoyed the goal and celebrated with relish in front of the large group of travelling fans. A change was made at half time when Fraser Aird came on for Christoph Rabitsch, who not for the first time this season had looked at a major risk of being sent off after getting an early booking. There was nearly a spectacular goal within the first couple of minutes as Myles Hippolyte picked the ball up 50 yards from goal, spotted Matej Rakovan off his line and attempted an audacious chip which nearly ended up in the net. However, Rakovan was able to scramble back and tip the ball over from almost under the crossbar to spare himself some significant embarrassment. As the second half developed, it became clear that Dunfermline had gone up a couple of gears, and United were simply unable to cope with them. Having said that, United spurned a great chance to double their lead eight minutes into the half when Yannick Loemba headed over the bar after a great cross from Fraser Aird from the right-hand side. Loemba really should have buried the chance, and it was a miss United would be made to pay for. A further warning was issued a minute later when Frederic Frans had to look lively to cut out a great Myles Hippolyte cross. As the game drew on, it felt like an equaliser was almost inevitable given the balance of play. The equaliser duly came on the 59th minute. Faissal El Bakhtaoui picked up the ball on the left-hand side of the United penalty area, and he rolled the ball to Joe Thomson who was in acres of space 16 yards out, and he duly drilled the ball past Rakovan to level the scores. Dunfermline had all the momentum now, and almost took the lead four minutes later when El Bakhtaoui came close with an angled drive that went just wide, although William Edjenguele did well to put in a last-minute challenge which evidently put off the Dunfermline striker. United were clinging on for dear life at this stage, and midway through the second half Dunfermline got the second goal they deserved, although they were assisted by more poor defending from the home team. James Craigen took a long throw in that was met by a Joe Thomson snapshot. The ball was deflected to the back post where Jackson Longridge was left unmarked, and he sent a diving header back across the helpless Rakovan to give the away side the lead. If the United supporters were expecting the team to respond positively to going behind, they were to be disappointed. Dunfermline had a firm grip on that game that they were not going to relinquish. Louis Longridge was the next Pars player to threaten with a shot, although his effort was just wide. Myles Hippolyte has a weak header saved by Rakovan, and with time running out the action was continuing to mostly take place in the United half. In the last ten minutes, there were finally some signs of life from the home team. With nine minutes left Fraser Aird played in Nicky Clark, who hit an angled shot which was well saved by Lee Robinson. From the resultant corner a Sam Stanton shot was diverted towards goal by Frederic Frans but his header went a foot wide. 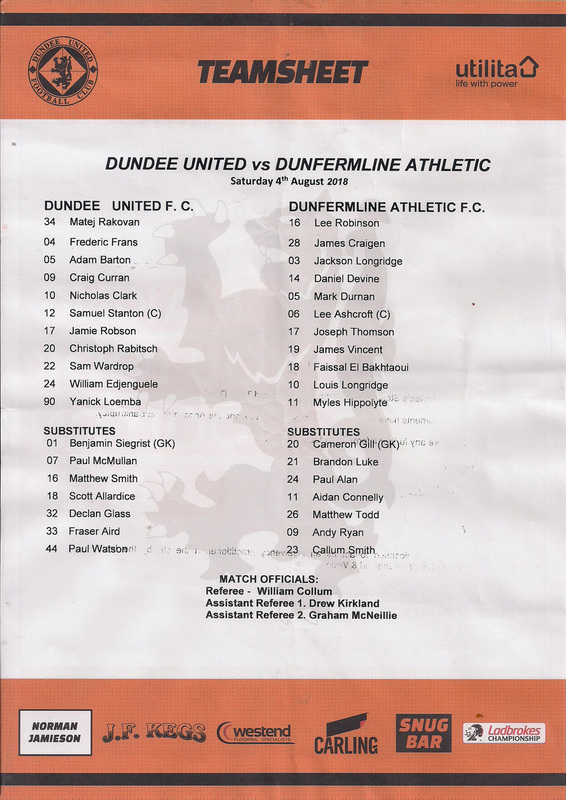 In an attempt to rescue the game Paul McMullan was brought on for Jamie Robson, but it turned out to be in vain as with six minutes to go Dunfermline got the goal which proved to be the winner. Adam Barton was caught in possession while trying to bring the ball out of defence. Louis Longridge broke forward, beating a couple of half hearted challenges and drilled a left footed finish low into the bottom right corner of the net to give Dunfermline a 3-1 lead, leading to a mass exodus from the home support. There was a consolation goal for United a minute from time, and it was a great goal. The home side won a free kick 25 yards from goal, and Fraser Aird curled the ball into the right-hand corner of the net to give United the faintest glimmer of hope. However, Dunfermline saw the game out relatively comfortably to win the game 3-2. The final whistle blew to end United’s fifteen game unbeaten run against the Pars, and ensured the pressure on manager Csaba Laszlo continued to mount.